All of North America including companies from Europe as well as Latin America. The Pet Wrangler Business Directory is currently accepting all professional level submissions from most all over the world. 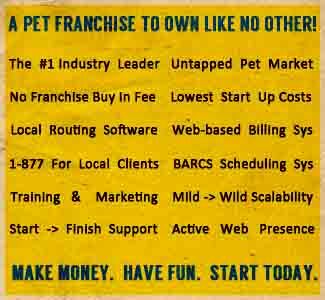 The PetWrangler.com Pet, Horse And Alpaca Business Directory was created with three purposes in mind. 1. We wanted to create the largest Pet and Horse industry specific directory of Businesses on the internet that also included Alpaca professionals and the businesses they run. We feel strongly that the 4400 distinctly unique categories within the 10 main established Pet,Horse and Alpaca Categories will go a long way in this endeavor. Why all the fuss? Simple. We want our site visitors to find what their looking for. Irrespective of whether you are using our search engine feature to discover the best Businesses or our expansive Directory. We'll help you find your next Dog Walker in Denver or a Professional Horse Wrangler in Waco, Texas. Less "searching" and more "finding" is our focus. 2. An additional priority in creating the Business Directory has also spawned the ability to both read User Reviews as well as create new ones - Reviews by YOU the pet aficionado who has used some of the very Animal related Businesses that we have listed within the Business Directory. We put YOU in the driver's seat in discovering and using the Businesses you most feel comfortable with after reading through User Reviews created by others about the services and products they've used in the past. The website is a great venue to critique Businesses by writing valuable reviews of products and services that you have used for all you "Wordsmiths" out there just itching to tell others how much or how little you enjoyed a Company you have done business with that you have found in our Directory. 3. Free advertising for the Horse, Alpaca and general Pet Industry Professionals and Business Owners. It's what we do. What we have done. And what we will continue to do. We're proud to provide a multi-platform advertising and marketing venue for the Animal Industry. It's all about creating connections. Connections between Pet Care And Supplies Companies and the people that need them.